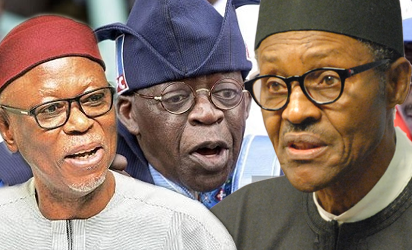 THE All Progressives Congress, APC Rebirth 2019, a support group within the party, has raised the alarm that the country was sinking, warning that the party has only two options before it to save the country. The ship called Nigeria is heading towards sinking grounds.” It said: “As the ruling party at the centre and in the majority of Nigerian states, we have two choices before us. 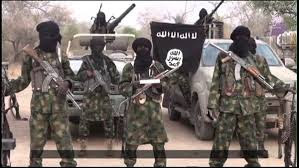 “We can choose to pretend that all is well with our once teeming but fast thinning supporters, once dedicated but now debilitated and dispersing change campaigners, and once hopeful but now embittered and hate-filled Nigerians as we glide dangerously towards the 2019 Judgment Day in the Supreme Court of Nigeria voters,” the group added. It noted: “The most fruitful channel to achieve the latter, which is the sensible choice, is the immediate convocation of an APC National Political and Economic Retreat. “Double-faced blacklegs among us, erroneously planted in sacred places of the President’s heart and installed in the Villa, are also guilty, make no mistake about that. “Unlike political retreats we have seen convened in the past by the anti-masses opposition PDP, which consolidate on their avaricious leaders’ well-being and mending party stable cracks to facilitate safe looting of our country, the proposed APC retreat should evolve through three stages. “The first retreat should be conducted at the local government area levels on the same date throughout the country, where grassroots supporters’ reports on the state of each local government area and the nation, peculiar challenges, solutions and well-being of Nigerians and party patriots from the local government areas will be collated and aggregated at each state venue on a second day. “The retreat’s third day and grand finale should comprise APC national party leadership, authentic APC delegates representing the states, foundational APC federal cabinet ministers and appointees; not opportunistic post-victory joiners and fly-by-night adoptees who found their way through back doors of corrupted appointment lists drawn by Mr. President’s Aso Villa confidants, who exploited and betrayed the innocent trust of the President to get deadly agents of the opposition into government. “At the second stage, reports of the state retreat should be aggregated to provide direction, executive compass and acceleration for projects, programmes and policy priorities of the administration for intervention in areas of urgent and optimum impact on electorates in different parts of our country,” it said. “This should include effectively getting the North’s children back to schools in the post-Boko Haram era by strengthening the school feeding programme which has suffered a blow from the general downturn of federal revenue earnings. “The overall outcome of such retreat will accelerate decision processes from the President’s desk to the least APC administered local government council in Nigeria, and help us to put behind us the better part of the last two years during which decisions on virtually everything from budget legislation, executive actions and appointments to the justice dispensation have been a nightmare of excruciating sluggard pace and beggarly delays,” the group said.